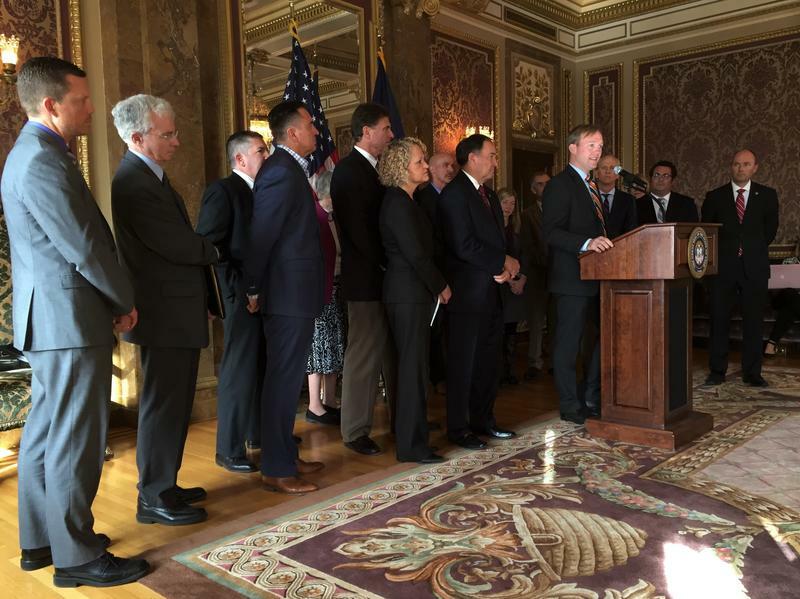 Salt Lake County Mayor Ben McAdams spoke about the limited Medicaid expansion alongside Utah officials at the Capitol on Wednesday. Everyone from the Governor to Salt Lake City Mayor to homeless advocates were excited about the news, but none as much as Republican Rep. Jim Dunnigan. "I’m excited and I’m not holding back! This has been a lot of work and we got it done!" Dunnigan yelled over applause at the Capitol. Dunnigan, who represents Taylorsville and Kearns, was the leader of the expansion effort, based on a bill he sponsored in 2016. Medicaid health coverage will now be available for 4,000 to 6,000 childless adults. They have to be chronically homeless, involved in the justice system, or need substance use or mental health treatment. It will help add drug treatment beds in Salt Lake City and direct funding to the opioid epidemic. House Speaker Greg Hughes said the expansion will go into effect immediately. "This is going to impact Utahns in significant ways, immediately in our Operation Rio Grande efforts that are going on right now," Hughes said. Medicaid is funded as a partnership between states and the federal government. For this expansion Utah will contribute $30 million and the federal government will pay $70 million.